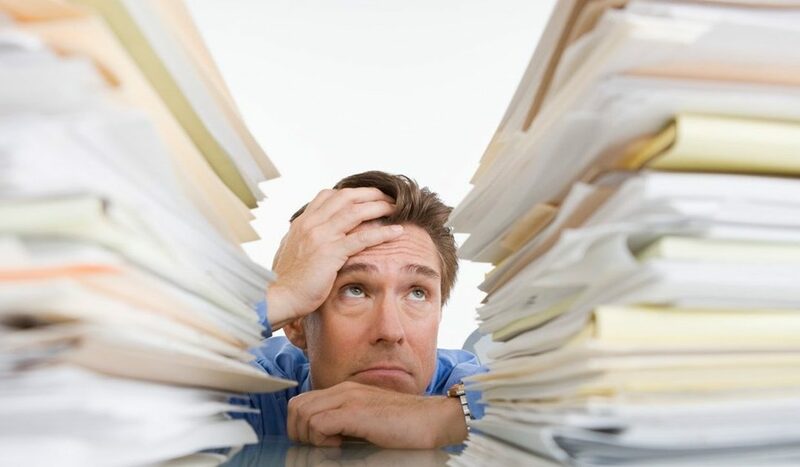 Thoughts of impending doom, worry about making a wrong decision, fear of not meeting a deadline can become so pervasive that it becomes difficult to focus, and, as a result, your leadership effectiveness diminishes. With all of the demands and distractions, almost all leaders occasionally suffer from anxiety: that feeling of nervousness where the monkey mind takes over. You can’t make a decision. There’s no peace. You feel stuck. This article will help you understand what underlies the suffering, as well as how to get back in the zone, so you can focus and regain your effectiveness. Enough already! You have to get control of the monkey mind! Yes, you can exercise, and you can meditate. I recommend both, but here’s a mental trick that will give you immediate relief. Get into the Zone. Picture a number line that goes from negative ten to positive ten. Zero is the present moment, while negative ten is the past, and positive ten is the future. Now, live between negative two and positive two. Only use the past to learn what you need to learn, then get right back to zero and take the next right step. Focus forward a little to do some planning and projecting, then bam! Bring your mind right back to zero and do the next right thing. In no time, you will start to feel in control again. To paraphrase spiritual leader Eckhart Tolle, suffering cannot survive without time. The past is an identity, and the future is an illusion. The power is in the present moment. When you narrow the time gap and live in the zone, all suffering ends, and life becomes fulfilling and productive. 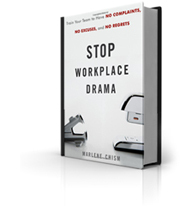 Marlene Chism is an executive educator, consultant, and author of Stop Workplace Drama, (Wiley 2011) and No-Drama Leadership (Bibliomotion 2015). 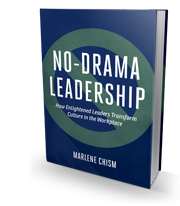 She works with executives, and high-performing leaders who want to transform culture in the workplace. To explore opportunities please email marlene@marlenechism.com.